When it comes to innovation in business, young people are blazing a trail. With research from YouGov and Google showing that a quarter (22%) of young people aged between 15 and 18 are interested in starting their own business, young people are increasingly taking their careers into their own hands while giving the world something new, innovative and beneficial. As we dive into 2017, there’s no shortage of bold, brave and brilliant entrepreneurs with innovative ideas to make our living smarter and more sustainable. But, in order to realise their potential, these entrepreneurs need support. 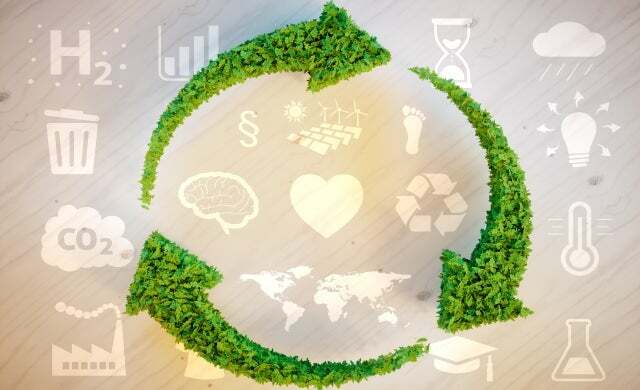 One of the most prominent programmes designed to support eco-entrepreneurs is Shell LiveWIRE, which offers monthly start-up grants, coaching and online business support to 16 to 30 year-olds with innovative business ideas for a more sustainable future. Its monthly Smarter Future Programme provides £5,000 funding to one winner each month, as well as the opportunity for all monthly winners to compete for the annual title of Shell LiveWIRE Young Entrepreneur of the Year and additional prize money worth £25,000. Adaptavate is an environmentally-sustainable construction company that is rethinking and redesigning how the new generation of building materials are made. 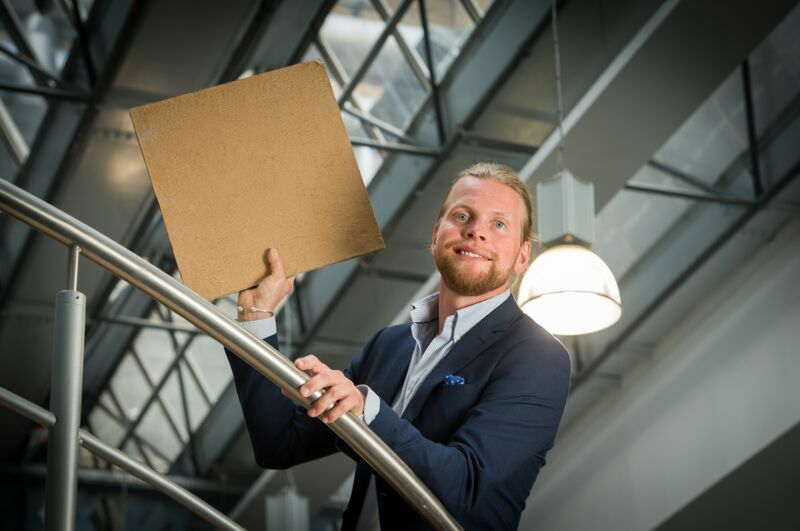 The company’s first product, Breathaboard, is a bio-based alternative to plasterboard which helps to mitigate CO2-driven climate change by ‘locking’ carbon into the fabric of buildings. Its founder, Tom Robinson, 28, came up with the idea while he was working as a builder and plasterer in Hackney, East London. With Breathaboard, Robinson is tackling two key problems in the building trade: the issue of ‘unhealthy homes’, where trapped moisture and condensation lead to poor air conditions, and the huge amount of waste generated by traditional construction, especially plasterboard, which is sent to a separate cell in landfill sites. 75% of Breathaboard is made from agricultural waste sourced from UK farmers, so it provides a renewable alternative to the 15 million tonnes of plasterboard that goes to landfill each year globally. In March 2016, Robinson was named Shell LiveWIRE’s ‘Young Entrepreneur of the Year’ and awarded £30,000 to help scale-up Breathaboard. Shell LiveWIRE also partnered with Adaptavate and WIRED in July 2016 for the Shell #makethefuture Accelerator, which brought some of the brightest minds in business and innovation to help Tom accelerate his business. Take a look at the highlights of the day here. Solveiga Pakštaitė, Founder of Design By Sol, developed a bio-reactive food expiry label which indicates the condition of food inside its packaging. Using gelatine to model the decay process of food, Bump Mark is able to indicate the food’s condition when you run your finger over the label. A smooth surface means the food is fresh, while a layer of bumps, which occurs when the gelatine starts to break down, means the food is past its best and needs to be binned. With over 15 million tonnes of good food thrown away in the UK each year, half of which comes from households, and with global food shortages soaring, Bump Mark offers a safe, recyclable, biodegradable, cheap and effective solution to prevent needless food waste. Having originally designed Bump Mark while at university as a product that would help visually impaired consumers, Pakštaitė’s product has captured the imagination of sighted consumers, too. 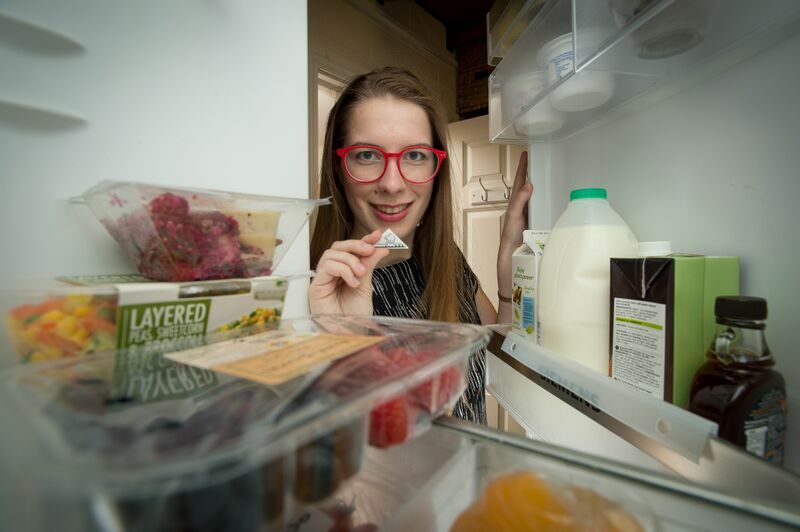 In March 2015, having already won the James Dyson Award, Pakštaitė was crowned a Shell LiveWIRE Smarter Future Award winner, which allowed her to conduct the necessary testing to take Bump Mark from a concept to regulated food product. She also received an additional £5,000 as the winner of the Shell Staff Inspiration Award, having impressed Shell UK employees with her ingenuity, passion and entrepreneurial spirit. 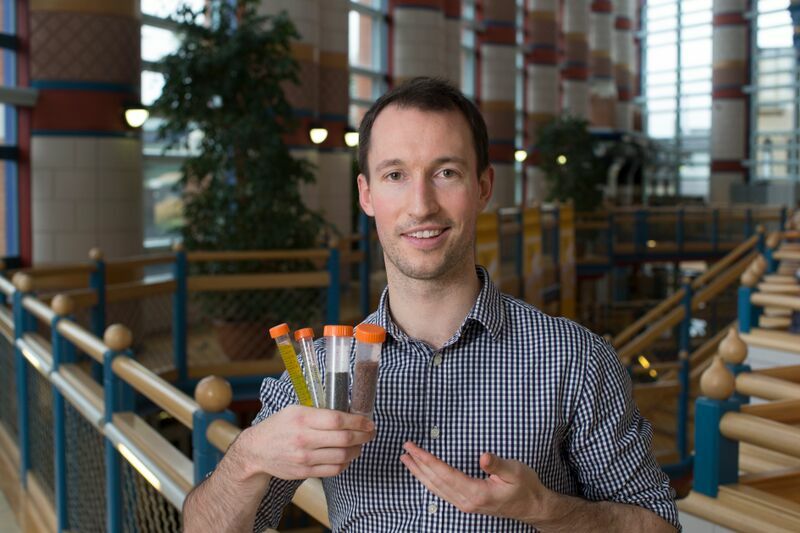 Entomics, founded by Matt McLaren and three of his Cambridge University colleagues, is pioneering the transformation of food waste into sustainable sources of fuel for plants, animals and vehicles. Using the larvae of the black soldier fly, Entomics converts food waste into a type of biodiesel to power vehicles and homes. The process, which is well known to gardeners whose compost is often produced with the help of soldier fly larvae, also creates high-protein animal feed and agricultural fertiliser as side-products. The eggs of the flies, which have life cycles of just five to eight days, hatch a few days after being laid beside rotten plant or animal matter, and are able to break down around 95% of the waste provided. With around 40% of food waste generated in the UK currently disposed of via landfill, the burden of food waste on society is set to increase. Entomics wants to scale up their operation from addressing food waste in the UK to addressing food waste globally. Having won the Shell LiveWIRE Smarter Future Award in September 2015, Entomics used the funding to buy a van to collect unwanted food from local supermarkets, including Sainsbury’s, with whom Entomics has now established a partnership. 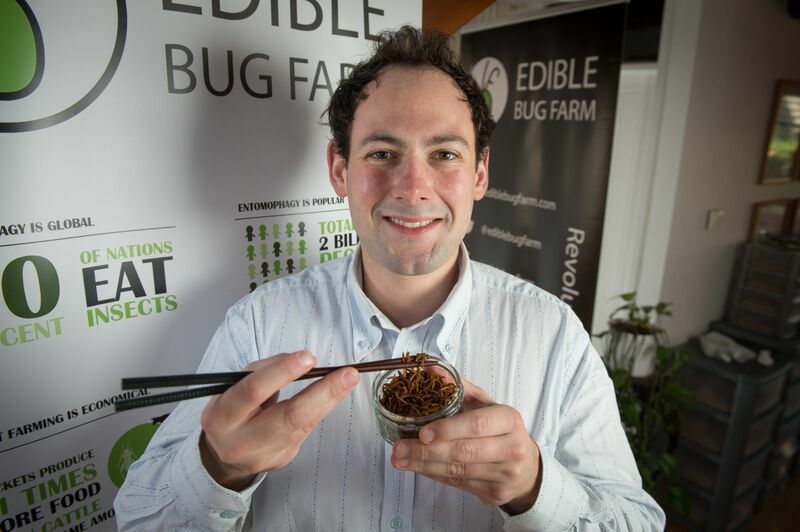 Edible Bug Farm is developing methods for sustainable farming by identifying high quality, cheap protein sources for the developing world: edible bugs. It was while travelling in Asia, where insects are regularly eaten, that Adam Routledge came up with the idea for his business. Drawing on his background in biochemistry and ecology, Routledge and his co-founder, Matt Anderson, saw an opportunity to tackle three of the world’s most pressing issues: food scarcity, resource demands, and greenhouse gases. The UN estimates that 70% of the world’s agricultural land and fresh water is currently dedicated to farming livestock. Yet for each 100kg of food a cow consumes, it only produces 4kg of meat and expells 100kg of methane gas every year, the equivalent to four tonnes of CO2. By contrast, crickets produce 47kg of meat per 100 kg of feed and have a negligible carbon footprint. With the world’s population predicted to reach 9.6 billion by 2050, Edible Bug Farm offers a sustainable alternative to global farming practices. Having won the Shell LiveWIRE Smarter Future Award in November 2015, Edible Bug Farm hopes to automate the farming process, reduce costs and help the company go to market. The team’s ultimate goal is to shift UK perceptions of eating insects with the aim that, one day, bugs will become a mainstream part of our diets. Every hour, the sun beams onto Earth more than enough energy to satisfy global energy needs for an entire year. Modern energy services are crucial to human well-being and to a country’s economic development, and yet globally 1.2 billion people – 16% of the global population – live without access to electricity. 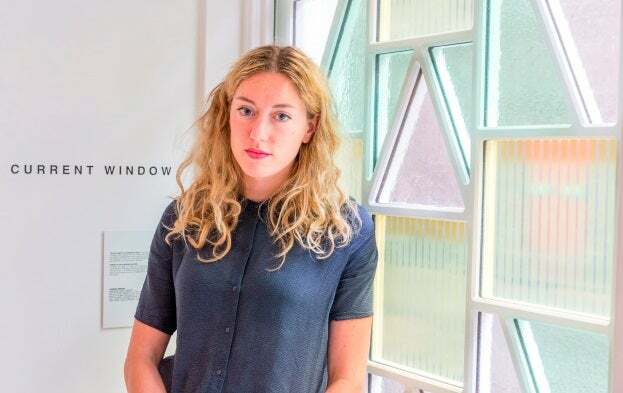 In response to this, CAVENTOU, founded by Marjan van Aubel and Thor Schuitemaker-Wichstrøm, created an exciting innovation in the field of solar energy, which uses colour to convert sunlight into energy. Capitalising on a growing gap in the market, CAVENTOU developed the Current Table, a table that functions as a source of energy inside the home or in the office. The table’s glass surface is entirely made of dye-sensitised solar cells that use the property of colour to create an electrical current. These solar cells are different to PV cells by working under diffuse light, making the Current Table the first piece of furniture that can harvest energy indoors. Without using any cables, the table becomes a portable renewable energy source that can charge devices like iPhones and iPads using USB ports, which are positioned on the side of the table. CAVENTOU won funding from the Shell LiveWIRE Smarter Future Award programme in July 2015. The team is now looking to branch their technology out to new areas, such as windows.